I was abandoned in Chongqing, China at the West South Hospital Outpatient entrance in July of 2002; I was approximately 2.5 years old. Born with bladder exstrophy; my bladder was still on the outside, the tissues surrounding the bladder were inflamed. I believe my birth parents did the best that they could for me and had no choice but to abandon me so that I could get help. In my heart I know them leaving me at a hospital sent a silent message of love. I was taken to a large orphanage, the Chongqing Social Welfare Institute. As there was no identifying information found with me, my birth-date was set as January 10, 2000 and I was given the name Zhang Wen. The pull of the bladder caused me to walk with a bend at my waist as I could not stand up straight without pain. I had 2 surgeries in Shanghai where my bladder was ultimately removed and my ureters were connected from my kidneys to my sigmoid colon, this is called a ureterosigmoidostomy. These surgeries allowed me to walk upright, run, play with the other kids. To view more go to: Wen Holmes – If you don’t leap, you will never know what it is like to FLY! At 28 weeks of pregnancy, my parents found out I had a life-threatening condition that malformed most bodily systems. Devastated, my parents began a search for answers. There was no cause identified and no certainty that I would survive. The only thing that was definite was I would need immediate surgical intervention. Only 1 in 10,000-40,000 babies have VACTERL, and I was one of them. I was affected by all conditions except limb abnormalities, including malformation of my vertebrae, digestive, respiratory, urinary and reproductive systems as well as a hole in my heart. One of these conditions alone would be enough to have a detrimental affect on someone else’s life. I should also point that I’m a stand-up comedian and while the above isn’t intended as a joke, it’s an example of how accidental humor can creep in when when you’re dealing with unusual medical conditions. Hi there, I am Kaitlin (Sheedy) Morris, I was born on April 15, 1992 with classic bladder exstrophy. I had my closure operation at nine months of age. I was born and grew up in the Hunter Valley, NSW, Australia, with my Sister; Elle, Mum; Christine and Father; Michael. One of the most valuable things my parents ever taught me, was that I may be different medically, but that didn’t mean my life ever needed to be different than anyone else’s. They made it their mission to ensure that my life was as ‘normal’ as normal can be. 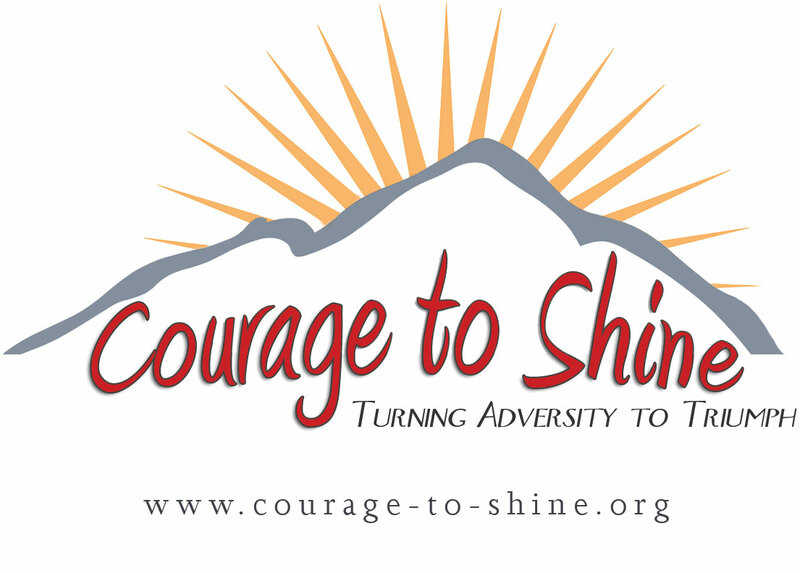 Tommy Ludlow, the young recipient of the this year’s Courage to Shine award is already inspiring others to turn challenge into opportunity. Tommy received the honor, in part, because he is by all available accounts the first bladder exstrophy patient to hike to Mt. Everest Base Camp. The 12-day journey to an elevation of 17,600 feet, is no small feat and Tommy had to overcome unique challenges. The burden of carrying medical supplies was lightened thanks to sponsorship from CompactCath. Tommy got hypothermia during the trip and he couldn’t use the medication everyone else did for more oxygen. But he and his family never gave up.